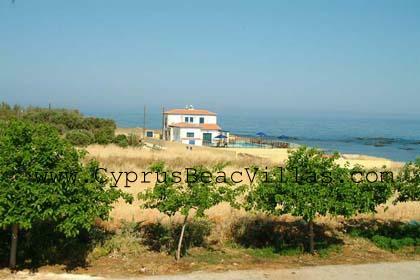 The Astrofegia front beach villa is situated in Pomos village at Paphos region in Cyprus. 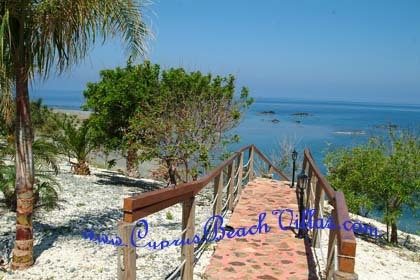 The villa is located by the beach side, zero meters from the sea ! 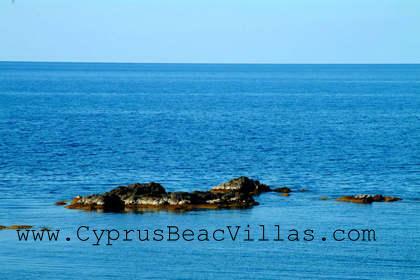 It's maybe the nearest from the sea villa in Cyprus. 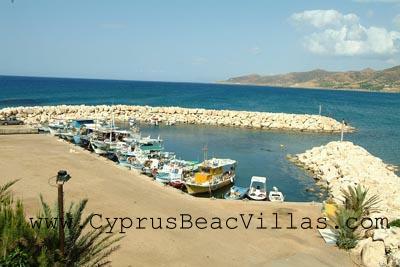 From Paphos Airport: Drive from Paphos Airport until you reach a 'T' junction and turn left towards Paphos. After about a 1 km turn right and drive North, then after about 1 km turn left to use the motorway to Paphos. At the end of the motorway you will find a Roundabout. At the roundabout choose the 2nd exit direction to Polis Chrysochous. You will arrive Polis in 25 min. From Polis turn right and drive Eastward. 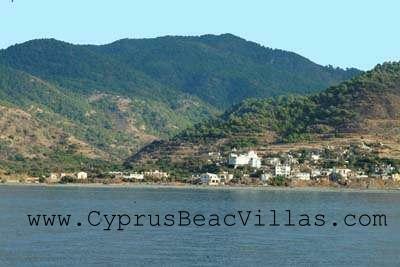 You will find the consecutive villages by the coast road: Argaka, Ayia Marina, Nea Dhimmata and Pomos (about 15 minutes from Polis). After the End of Pomos village you will see the sign to your left side: Pomos Fishing harbour and Astrofegia Beach Villa, just follow the signs where you will arrive after a minute !! Someone will be there waiting for you! From Larnaca Airport: Drive about 50 Km to Lemesos (Limassol) using the motor-way, then about 45 km to Paphos town where in the end of motor way you will find a Roundabout. Then follow the same instructions as above. Nearest restaurant - 1 minute on foot ! Sea - few seconds on foot ! Pomos harbour - 1 minute on foot ! Tsada Golf-ground - 30 minutes by car. Troodos mountains 1.5-2 hours by car.